David McGinley discusses the role of political parties today, and what it means to be a member of one. The past few years have seen a surge in membership for Britain’s main left-of-centre parties, but not necessarily for common reasons. In 2014, both the Scottish National Party (SNP) and the Scottish Green Party saw a boost in their membership numbers after the independence referendum in that year, which returned a No vote. Almost 50,000 people joined the SNP, and in 2017 their membership now stands at around 120,000. At the same time, the Scottish Greens reported that thousands had become members of their party. The Green Party of England and Wales saw a similar boost – the party went from less than 10,000 members in 2009 to 60,000 by the time the General Election came around in 2015. Finally, and perhaps most notably, membership of the Labour Party saw a surge in 2015 and since due to the election of Jeremy Corbyn as leader – it now stands at just over half a million. Meanwhile, this shift has had no benefit for right-wing parties. Although the Conservatives haven’t released exact numbers for a few years, it is estimated that it could have dipped below 100,000, meaning that it could have fewer members than the SNP, a party that only operates in Scotland. But what does it actually mean to be a member of a political party? I’ve been a member of two in my life – I joined the Scottish Green Party in October 2014 and was a member until summer 2015. I left to sign up to Labour in September 2015, after Jeremy Corbyn won his first leadership contest. The key thing about my experience of both parties is that, on its own, membership doesn’t mean very much. What does matter is instead the benefits of membership: voting, campaigning, and organisation. When we think of party votes, we normally assume it’ll be as part of a leadership election. However, internal votes are actually much more frequent than that. Within Labour, members vote to nominate members of the National Executive Committee (and its equivalent in Scottish Labour, the Scottish Executive Committee) who decide on rules and general party direction. This might not sound like much but recently it has allowed for several major wins for the left of the party, who make up the majority of the membership (of particular note is the decision of the NEC that, as the incumbent leader, Jeremy Corbyn could stand for leader again after being challenged – which allowed for his second leadership election victory in 2016). Members also have a say in party conferences and in other groups, such as the youth and student wings. One well publicised policy from this year’s Labour policy was the passing of what has been called the “McDonnell amendment”, which reduced the threshold of MP support required for a candidate to stand for election to the leadership. In-party groups are probably the most beneficial part of membership, at least for me. The youth wing, university clubs and regional organisations make it much easier to actually meet like-minded people that I don’t already know, and turns party membership into more of a collective thing. This is more pronounced based on location and party size – groups belonging to larger parties, such as Labour and the SNP, tend to be more focused geographically and demographically, while smaller parties might have to organise based on larger regions because members are more spread out. Assuming you attend university, however, it gets much easier – all the major parties are represented by on-campus groups, and even a few of the much smaller parties have at least some form of organisation. Campaigning is probably the part of party membership that’s most difficult and least enjoyable (at least to me), but it allows members to make a genuine impact to the result of elections. If elections were only decided based on which party was the richest, it’d be the Tories that won every time – instead, the power of local campaigners allows expectations to be bucked. In many constituencies around England and Wales, Momentum is organising campaigns to vote out unpopular Tory figures such as Amber Rudd and Jacob Rees-Mogg, which is only possible because of the power and importance of grassroots campaigning. 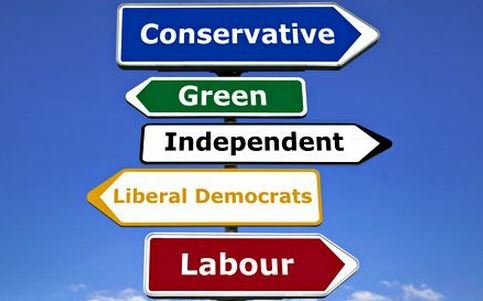 Party membership is absolutely a valuable thing, both at an individual and at a party level, and the numbers of people choosing to join a political party should, and hopefully will, increase further.